Join me tonight at 8pm ET (7pm CT) on Blog Talk Radio as I host my live weekly talk show Connecting with Your Angels and Pathways. I will be doing live readings during the show. I look forward to welcoming you there. 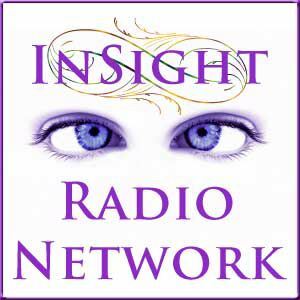 Click on the icon above to open the Insight Radio Network in a new window, or by going to http://blogtalkradio.com/insight-radio-network. Be sure to Bookmark this site for easy access. You have to little, you can’t except change, and you have no choices. In Spirit’s eyes you have all you have ask for. Some days are just better than others! On the days when I have problems, I thank God for this day upon this Heavenly Earth!! Then I ask the Angels to handle everything and I instantly feel peace and that all is right. It’s just another day, another lesson, another gift. Never forget the powerful being you are. You can overcome, and can do anything in this life! Ask for guidance from your higher source, call the Angels in and feel the love, healing and warmth from these Heavenly Bodies. If you never know the lows in life, how, will you ever know the highs? We all have the same ingredients! How we use them is what we become! Your Palm is the Roadmap of your life. However, Your feet will carry you along your path.